It’s been far too long since my last post. I definitely should win the award for best blog procrastination. After much consideration at the end of the season, I’ve decided to switch teams for next year. I’ve had a great time with SMST2, and really have to thank everybody on the team for making it an incredible two years. I’ve learned a ton from coaches Sverre and Gus, as well as from all my teammates, and owe them all a huge thanks for supporting me and my ski racing career. I am excited to be joining the APU ski team based out of my hometown of Anchorage, Alaska. After spring series this year, I realized that I wanted to be based back in Alaska. Also, I am excited about my “new” team – quotations because everyone on the APU men’s team grew up skiing together, in some cases, as far back as elementary school. We have a great training group and we are pushing each other to be the best team we can be. With all the recent changes, I decided that it was also a good time to redo my blog. My favorite part of blogging is posting pictures, and I’ve always felt that my old blog layout didn’t do a great job highlighting my images. I’ve redesigned the layout, trying to keep things clean and simple while hopefully doing a better job of showcasing my images. Take a look around and let me know what you think! 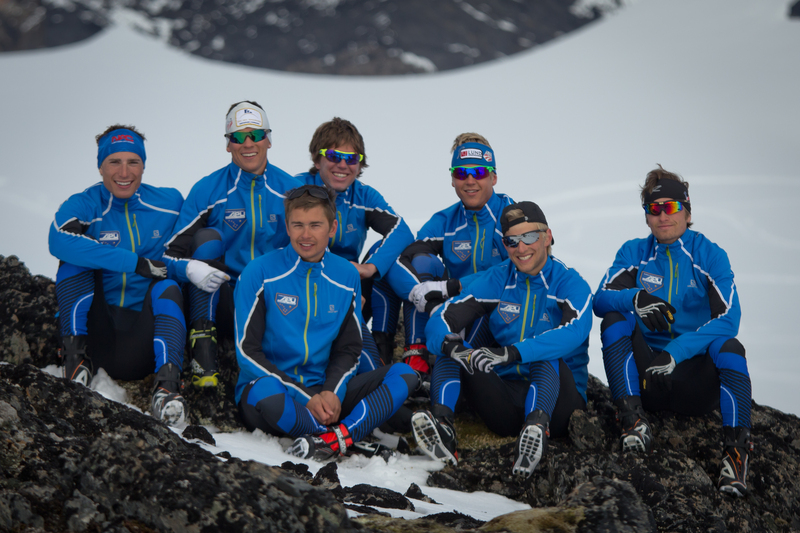 A week ago, I wrapped up my first glacier camp with APU at the Thomas training center. Here are a collection of images from the week. 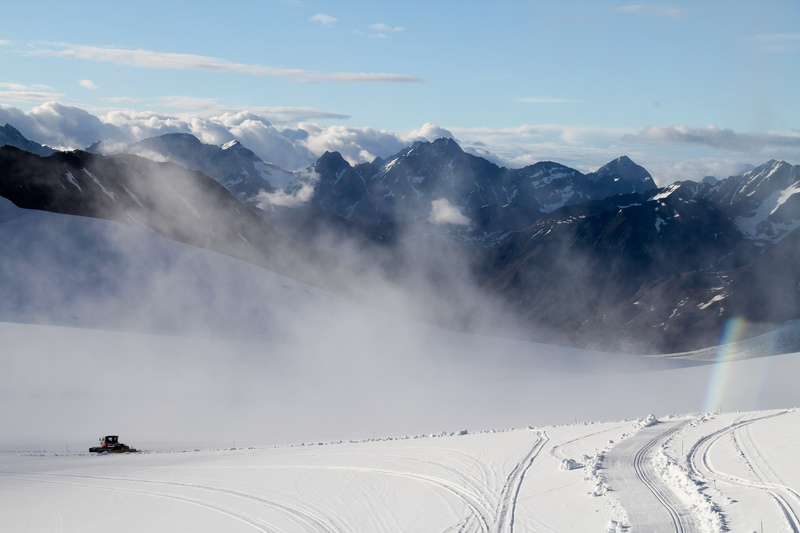 Erik Flora heading out in the piston bully to lay down some perfect tracks, as the fog lifts from the glacier. It was actually foggy and snowing for most of the week, and we accumulated between 2 and 3 feet of fresh snow over the course of the camp. Naturally the camera goes into hibernation on the whiteout days, and comes out when the sun starts to shine. With the fresh snow, we enjoyed incredible tracks all week. Everybody put in 22-25 hours on snow in the six days we were there making for a highly effective camp. 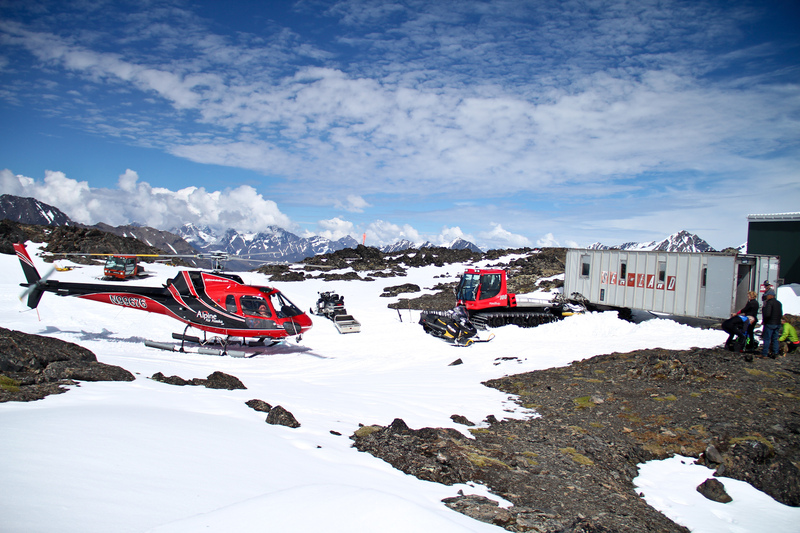 Lots of toys up on the glacier. The glacier was an incredible experience and I’m excited to go back up there in three weeks. In the meantime, I’ve been enjoying my recovery week by hiking and doing non-specific training. I went down to Seward Alaska for the weekend and went on an epic hike with my friend Andrew Dougherty, who skis with the Craftsbury Racing Project but is visiting Alaska for a training block. On Monday, we start our next big three week training block. Stay tuned!